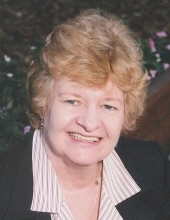 Marion E. Klocko (Klaproth), age 84, a former resident of Benetwood Apartments in Harborcreek, passed away peacefully on Thursday, February 7, 2019. She was born in Exeter, PA on May 26, 1934, a daughter of the late Walter and Mary (Griglock) Klocko. She had resided in the Erie area for over 25 years. Marion was previously employed by the Erie County Office of Children and Youth, Tobyhana Army Depot and the General Electric Co. as an administrative secretary. She was a member of Our Lady of Mercy Church where she participated in a parish small prayer group. She enjoyed reading and sewing. Marion is lovingly survived by her four children: Erik Klaproth (Renee) of Canton, GA, Dane Klaproth (Barbara) of Lawrence Park, Laurie Sherfey (Steve) of Midlothian, VA and Bonnie Sanderson (Bryan) of New Smyrna Beach, FL; one brother, Walter Klocko (Brenda) of Middletown, PA; three sisters: Irene Gray of Wyoming, PA, Sr. Marcine Klocko, S.S.C.M. of Bluffton, South Carolina and Theresa Kemp of Stuart, FL; three grandchildren: David Frank (Katie), Audrey Sherfey and Derek Sanderson; two great-grandchildren, Evelyn and Charles Frank and many nieces and nephews. No calling hours will be observed. A Memorial Mass will be conducted at Our Lady of Mercy Church and will be announced at later date by the Dusckas-Taylor Funeral Home & Cremation Services, Inc., Harborcreek. In lieu of flowers, memorial contributions may be made to NAMI, 3803 N. Fairfax Dr., Suite 100, Arlington, VA 22203. To send flowers or a remembrance gift to the family of Marion E. Klocko (Klaproth), please visit our Tribute Store. The Memorial Mass will be celebrated by the Rev. Leo Gallina. Guaranteed delivery before Marion's service begins. "Email Address" would like to share the life celebration of Marion E. Klocko (Klaproth). Click on the "link" to go to share a favorite memory or leave a condolence message for the family.